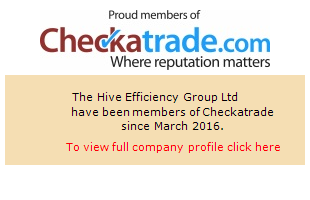 Hive Efficiency Group use G.B Energy Assessors to provide residential Energy Performance Certificates for Home owners, council tenants, estate agents, landlords, solicitors and other property professionals throughout the UK. We pride ourselves on the quick turnaround service that we offer to our clients. We are fully compliant, fully accredited and insured, for your peace of mind. We are always willing to go the extra mile and we can cover all areas of the of the UK. 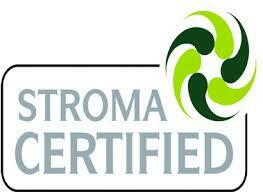 All of our Assessors are City & Guilds qualified and fully accredited to the Stroma Network. If you’re selling or renting your own house, you are legally obliged to have one to show buyers and tenants. Or you can look at an EPC as a good and easy place to get an idea of what your own house is capable of. The national average Energy Efficiency Rating is 46, band E, and most houses can be refurbished to get over 70, into band C. Many can get well beyond this into the 80s or 90s. The average house emits around 6 tonnes of CO2 per year (some considerably more) and again refurbishment will bring this rate down considerably. Whether your interest is carbon reduction, fuel cost savings or energy efficiency overall, an EPC can tell you where you are now, with good recommendations tailored to your own house for how to improve. Knowledge is power. EPCs look at the hardware of your house – what it’s built from, how much it’s insulated, how efficiently it is heated and so on. How you use the hardware is up to you, but the right hardware can make it much easier to make savings. EPCs don’t look at how you use the hardware, that’s up to you. And they certainly don’t judge people. If you look at the front page of an EPC you’ll see if contains three different pieces of information: the Energy Efficiency Rating (the left hand graph), the Environmental Impact (CO2) Rating (the right hand graph) and the table underneath of estimates of what it will cost (at standard assumptions) in money and CO2 terms to heat, light and wash in the house. Later on in the document are not one but three groups of recommendations about ways to improve the energy efficiency of your house. The Energy Efficiency Rating graph points to a current number and a projected number. Put simply, the higher the better. Energy leaks out of every house, mostly by heat loss. This score is a measure of how much energy has to go in to each square metre of your floor area to keep it comfortable for a year. The current number is what your house scores at the moment; the projected number is what your house will achieve if you follow through the first two groups of recommendations. Note that your house will go higher than this – usually considerably higher – if you follow through the recommendations in the third group as well. A house that scored 100 would require virtually no energy to run at all. The numbers are grouped in the graphs into bands A-G, with A being the best and G the worst. The calculation is per square meter of floor space in your home; it combines a measure of the rate of energy loss (heat leakage through walls, floor and roof, for instance) with a measure of how efficient your house’s systems are at creating that energy. It’s based on a standard set of assumptions about occupancy and heating standards that almost certainly don’t reflect the way you use your own home! And yet this is incredibly useful because it allows us to strip out the effect of our own personal behaviours and look just at how to make the hardware of the house more efficient. The assumptions include a number of occupants that’s based on the floor area, and that heating will be on for 9 hours a day during the week and 16 at weekends, with a temperature of 21 degrees in the main living areas and 18 elsewhere. The Environmental Impact Rating is another scale that scores your home for how much CO2 it emits over a year – again, a score of 100 in band A would be very, very good. I’ve only ever seen one home in band G. The score is again per square meter of floor space. The final piece of information on the fiont page of is the table. Based on the standard set of assumptions, it shows an estimate of the amount of energy it will currently take to run the house, and an estimate of what this can be reduced to if certain of the later recommendations are carried out. It also shows the same information for CO2 emissions, and running costs split into heating, lighting and hot water. Then there’s a summary of what the house has currently – independently assessed information about what it’s built from, how much insulation there is, how it’s heated and how the heating is controlled, and so on. Each element is rated from ‘very poor’ up to ‘very good’. Words like ‘good’ and ‘poor’ can be a bit emotive but this a good way of seeing which parts of the house could probably do with most attention. On the page following are the recommendations for how to improve the energy and carbon efficiency of your house. They are divided into low cost measures (up to £500 each to implement); higher cost measures (over £500 but likely to pay for themselves quite quickly); and ‘further measures to achieve even higher standards’. 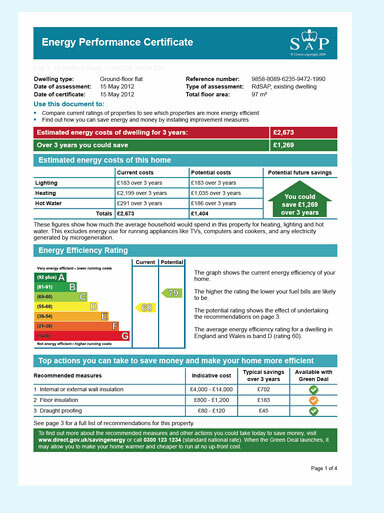 Next to each recommendation is a projection of what carrying out each recommendation will do for your Energy Efficiency and Environmental Impact ratings. It’s important to note that in the graphs on page 1, the projected ratings assume that only the low and higher cost recommendations are carried out. Some of the ‘further’ measures are quite expensive, some have quite long payback periods and some (like solid wall insulation) are well worth doing but are quite an upheaval to achieve. If you look at this section you will see quite clearly that your scores can go much higher than projected on the graphs on the front page. The list of recommendations is very much keyed to your house and what’s there. You won’t see recommendations for loft insulation if you have a reasonable quantity of loft insulation already; you won’t see recommendations for anything unless it will make a difference of at least one point to your own SAP or EI score. These aren’t generic recommendations, these are calculated for your house specifically. An Energy Assessor can be in and out of your house in a couple of hours, often less. In that time and for remarkably little money you can have an independently verified, professionally confirmed assessment of where your house is, where it can get to and how to get it there.